We will be running the rooftop track on Sundays, Mondays, and Thursdays from open until dusk (weather permitting). 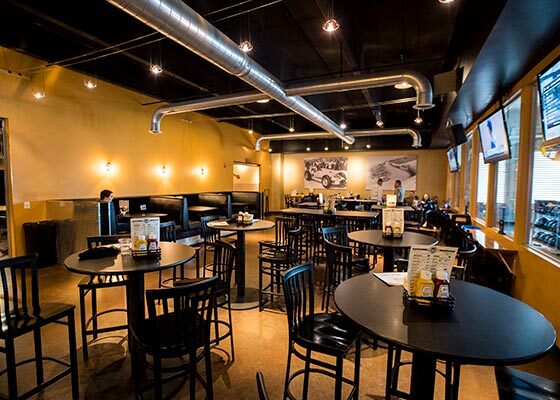 Features: HDTVs, Wi-Fi, booths and high-top tables. Hosting a small to medium size group? We’ll carve out a reserved area for you in the Trackside Tavern (our restaurant and full-service bar), featuring terrific views of the race course. Features: 60″HDTV, Wi-Fi, A/V capabilities, bar-height table and lounge seats, buffet area. Enjoy this semi-private area that is situated off the Trackside Tavern with easy track access between heats. 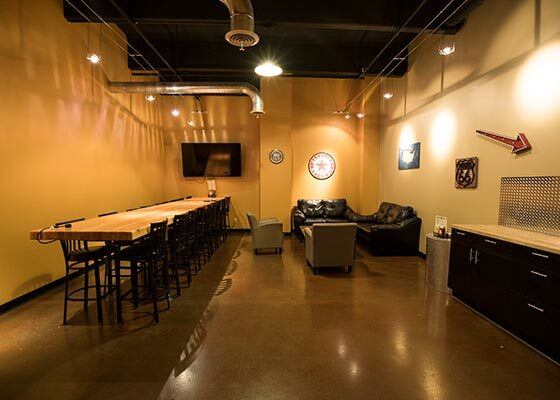 The perfect spot for a team-building event or birthday party! 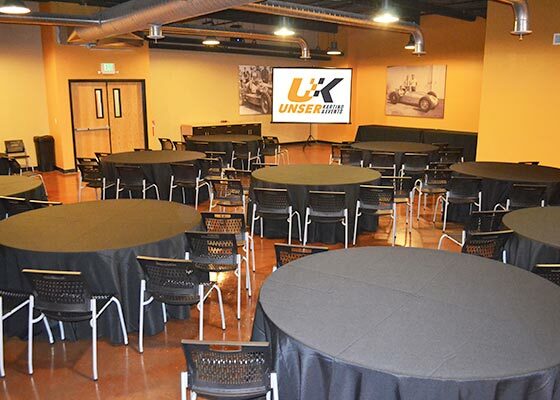 The perfect space for larger events or parties, allowing the privacy they need to relax and enjoy their time at Unser Karting & Events. Features: Projector, Wi-Fi, A/V capabilities, tables & chairs for up to 40 guests. 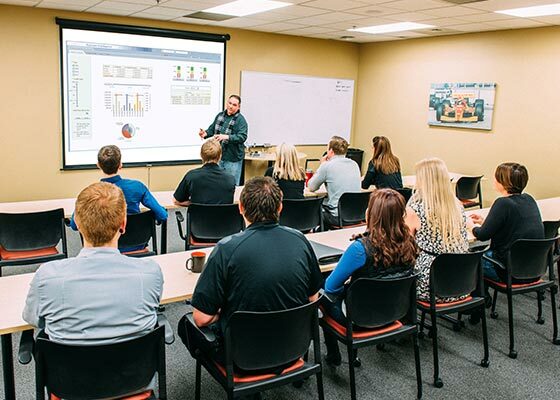 We feature a fully-equipped, private meeting room on the first level that will allow your team to get a little business accomplished before the fun starts. Food and beverage options are available. 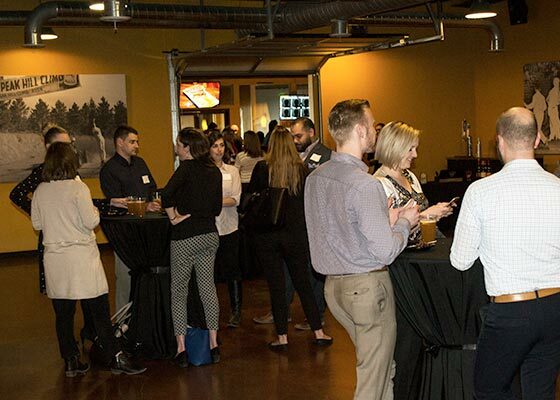 Ideal for larger groups, the 2nd Floor Buyout is great for trade shows, holiday parties, fundraisers, team building, employee rewards, and customer appreciation. The battle for bragging rights may happen on the track, but the post-race smack talk happens over delicious food and drinks. Our Trackside Tavern features a full-service bar and a menu stacked full of American classics like burgers, pizza, and wings.